New York City is home to a high-profile, high-intensity marathon where individuals from around the world gather to demonstrate their talent, hard work, and endurance. Grabbing the attention of hundreds of thousands of people in attendance across some of New York's most notable landmarks is a top priority. And after 34 years since the marathon's inception, this annual event is a proven mainstay and not to be missed. CMJ Music Marathon, hitting NYC this year from October 13 to 17, 2015, has been a hotbed of music discovery since 1981, with over 1,300 artists disrupting NYC's top music venues in the best way possible each year. This nonstop, five-day music celebration attracts the best of the best – industry professionals, artists, and enthusiastic fans – and has even become a rite of passage for some of the most popular artists out there, including Arcade Fire, Spoon, Gotye, MGMT, Daft Punk, HAIM, Icona Pop, and many more. This year, CMJ has reserved at least 300 slots for Sonicbids artists to make their mark on the NYC music scene. Want to know how you can get selected to play CMJ 2015? Follow these three simple steps. Create an account with Sonicbids and gain access to the best EPK out there. Upload your latest songs, live video, photos, tour info, press features, and more – it's the best way to market your band professionally online. Need some convincing? CMJ has booked over 4,800 artists through Sonicbids since 2005! 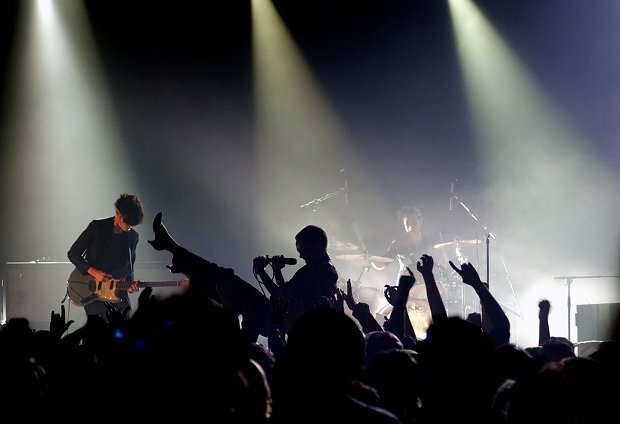 Check out these eight well-known Sonicbids acts that used CMJ as a stepping stone to success. The folks at CMJ are looking for all types of bands, in all genres, from all over the world, so there's a good chance you'll fit the bill! Check out the official gig listing to get the details. Apply for your chance to play CMJ's 2015 Music Marathon right through Sonicbids. If you apply before March 20, the application fee is only $25 instead of $45!